Gyros are traditionally made with either lamb or chicken and served on pita bread with lots of tzatziki (a cucumber-yogurt sauce), a bit of lettuce and a sprinkling of tomatoes. 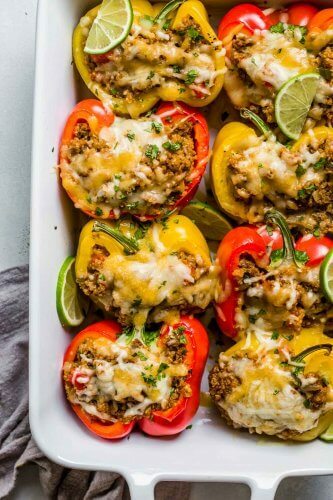 For this recipe, I’m retaining all of those traditional ingredients, but I’m swapping out the heavy pita bread for quinoa which is filled with protein, fiber and iron. 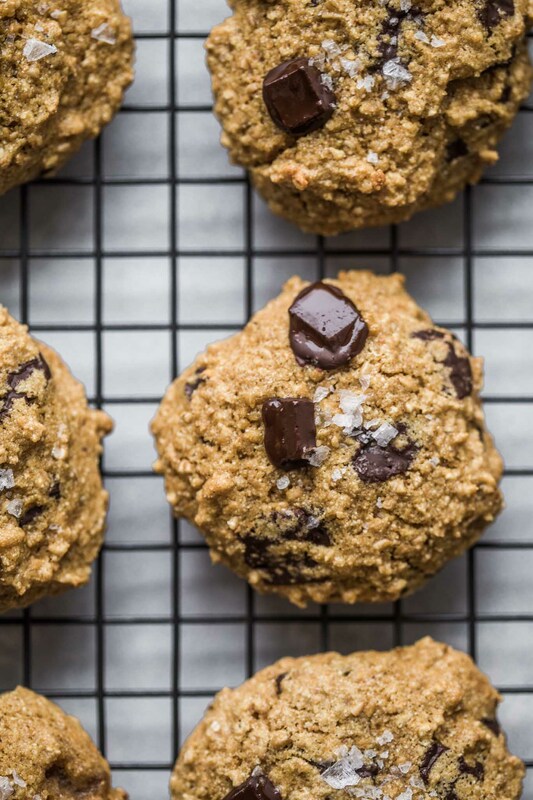 Perfect for when you’re looking to eat in a more healthful, mindful way. 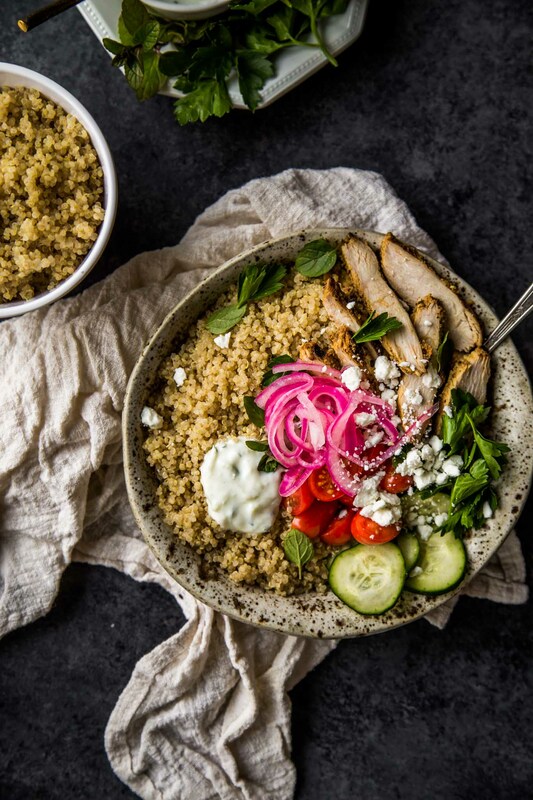 Before you take a look at the recipe below, let me forewarn you: The list of ingredients for these Chicken Gyro Bowls can look intimidating – But really, the ingredients in each step are repeated over again – i.e. there is garlic, lemon juice, white wine vinegar, and Greek yogurt used in both the chicken marinade and tzatziki sauce. And honestly, you can make these from start to finish in just about 30 minutes – Just be sure to marinate the chicken the night before. You can also make the pickled onions up to two weeks ahead of time. In truth, I normally have a jar of these pretty pink onions in my fridge at all times. I’ve got an entire post dedicated to how I pickle my onions. In the recipe for these Chicken Gyro Bowls, I make a half batch, but why not go ahead and pickle an entire onion… Then you can have leftovers for topping things like scrambled eggs, tacos and salads. 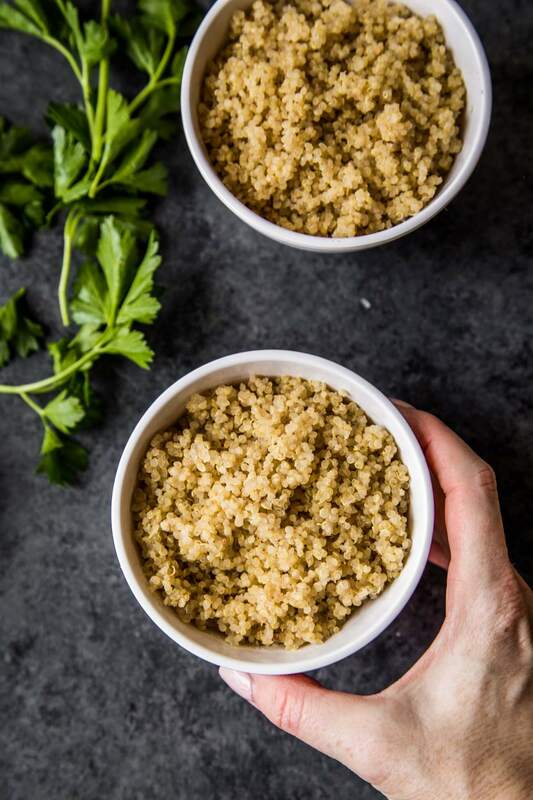 My new favorite way to make quinoa is in the Instant Pot. If you have one at home, I’d definitely suggest cooking it up in there. It takes just a minute (plus time for pressure to build and release) and it comes out so flavorful and fluffy using these tips. 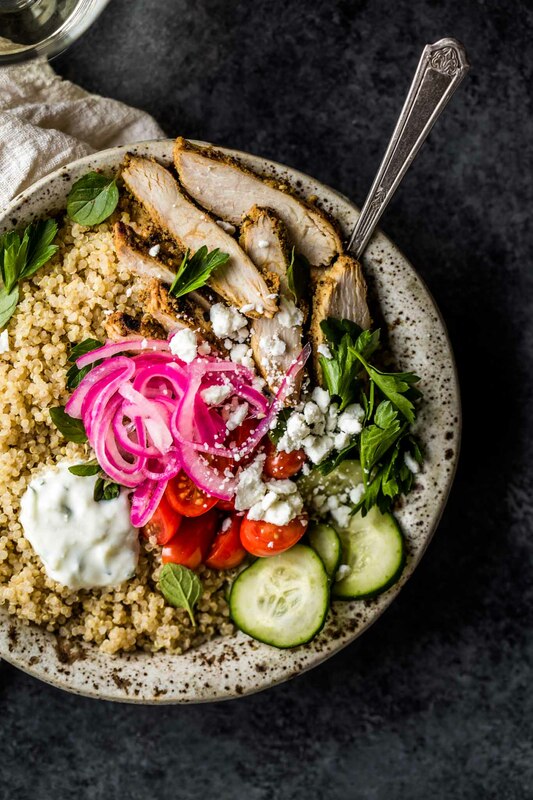 If you want to get really simple with this recipe, go ahead and buy premade tzatziki from the store, substitute thin-sliced red onion instead of pickling it, and allow the chicken to marinate for just 30-minutes – These Chicken Gyro Bowls will still be delicious even with some shortcuts. Also, these bowls are great for meal prep. Since it’s just the two of us at home, I’ll normally have a couple extra servings to pack for lunches during the week. Love that! Now that it’s officially Spring, I’m breaking open a couple of my favorite wines that I associate with sunshine – Sauvignon Blanc and Rosé. I loved the way the dry Rosé with its notes of minerality, pink grapefruit and spice paired with the marinated chicken in these gyro bowls. But I also kept reaching for the Sauvignon Blanc. It’s hints of lemongrass and bright acidity was perfect with the tzatziki sauce and pickled onions. Which wine would you gravitate towards with these Chicken Gyro Bowls? I’d love to hear your thoughts in the comments below. 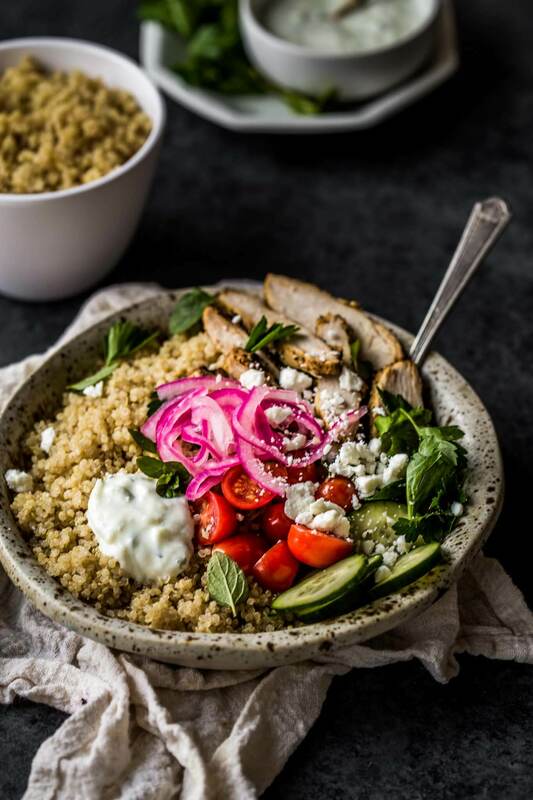 These Chicken Gyro Quinoa Bowls with Tzatziki turn your favorite traditional Greek sandwich into a quick, healthy dinner. Add the marinade ingredients to a large Ziploc bag, add the chicken and massage the marinade into the meat. Allow to marinate for at least 1 hour, or preferably overnight. Heat vinegar and sugar in a small saucepan over medium heat until sugar has dissolved, about 3 minutes. Pour vinegar mixture over onions. Allow to stand at room temperature, until fully cooled, about 20 minutes. Cut the cucumber in half lengthwise and scoop out the seeds. Coarsely grate the cucumber using a box grater or food processor. Then wrap in paper towels or a tea towel and squeeze to remove excess liquid. Place cucumber in a bowl. Add remaining ingredients then mix to combine. Set aside for at least 20 minutes for the flavors combine. Remove chicken from marinade and cook in a large skillet or grill pan over medium heat 5-6 minutes on each side until cooked through. Cut into strips. Divide quinoa between bowls. Top with chicken strips, pickled onion, tomato, cucumber and feta. 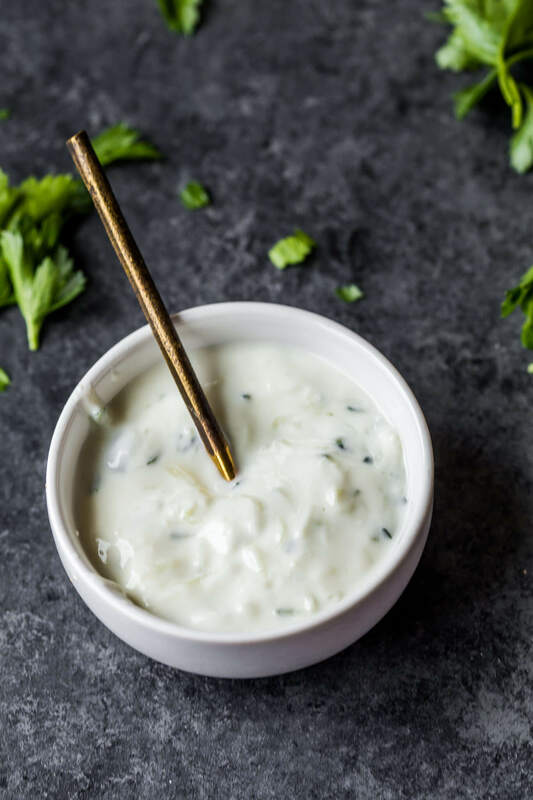 Drizzle with tzatziki sauce and garnish with parsley and mint. If you loved these Chicken Gyro Bowls I would appreciate it so much if you would give this recipe a star review! Also, be sure to snap a picture of your finished bowl and share it with me on Instagram using the hashtag #platingsandpairings and tagging me @platingsandpairings. Sauvignon Blanc or Vinho Verde will nicely compliment the fresh herbs and citrus in this recipe. 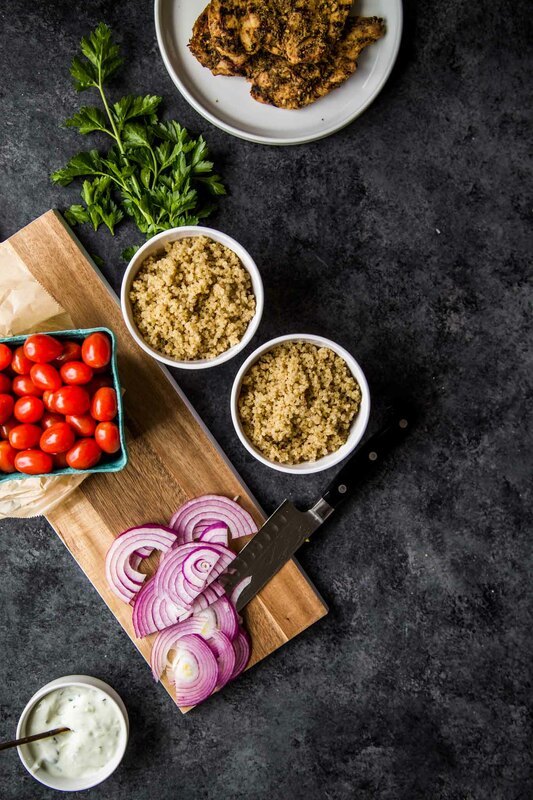 A dry Rosé will also pair well with these quinoa bowls. This marinade sounds wonderful, I can’t wait to try it. I also love anything covered in tzatziki sauce! Thanks Jenni – I hope you enjoy! These are beautiful vibrant bowls! They look and sound so delicious, Erin! Those wines sound yummy too – I’ll have to look for them! Thanks Marlynn – The new Decoy wines are absolutely amazing!!! I loved both of them so much! I hope you enjoy Lisa – Cheers! 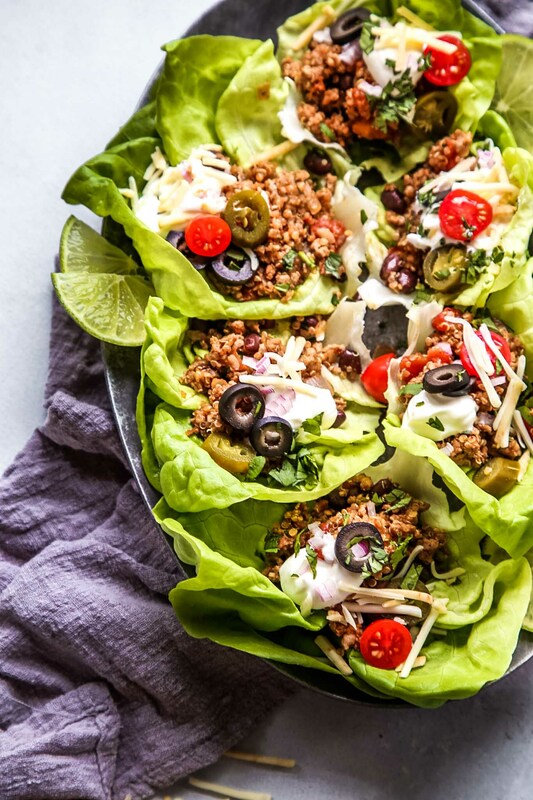 This is right up my street, great idea swapping out the pita bread for quinoa, so much healthier and lighter, this will go perfect with a glass of chilled white wine or a rioja crianza, cheers to spring time!!! This was another hit in our house! I loved the marinade for the chicken. It was a nice light and refreshing dish for dinner. Tonight I plan to make your Chicken Marsala w/ Mustard & Mascarpone. This will be the third dish this week from your site! I love it!! Awww! Yay! Thank you so much for the kind words Jen. I really appreciate the feedback and support. Yeah. I would probably buy premade tzatziki because I am lazy and want a quick meal. This looks SO good! I made this recipe this weekend. It was absolutely fabulous. I ended up making a Greek “antipasto” platter to take to a party because the chicken tasted so delicious. Thank you for another awesome recipe!! You’re so welcome Erin – I’m glad it was a hit! Just made this for dinner. YUM! So delicious. We added a bed of salad greens underneath everything and it was perfect! I’m so happy to hear you liked them Jill!